Police are hunting two men who threatened a family with a machete in their Birmingham home before they were forced to flee empty-handed. 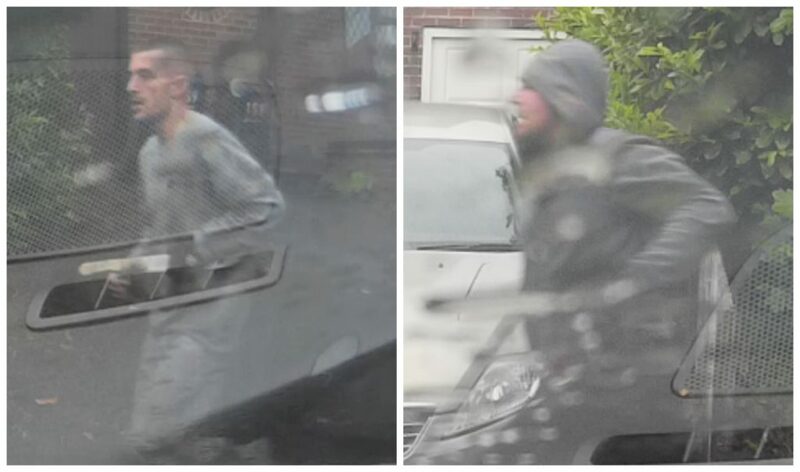 Detectives have released footage of two men they want to speak to following the burglary in Cole Valley Road, Hall Green at around 5pm last night (Monday 29 May). One of the attackers was armed with a machete and a wooden pole as they knocked on the door and forced their way into the property. They demanded money before two of the occupants managed to force them to leave empty-handed. Officers are now keen to trace these suspects who were captured on nearby camera footage. DC Tom Lyons, from Force CID, said: “This was a nasty incident where weapons were brandished to threaten the family. Anyone with information can contact DC Lyons on 101 or Crimestoppers anonymously on 0800 555 111.